"Get a competitive advantage by thoroughly understanding the needs of a particular customer group." Market segmentation is your first and foremost step that unlocks the door to satisfying customer needs in a profitable manner. It’s a critical point in company’s success in today’s increasingly competitive landscape. One of the main reasons to use market segmentation: to get a competitive advantage by thoroughly understanding the needs of a particular customer group. It’s a simple equation, really: companies that target specific markets promote their products and services more effectively than their peers who aim at the "average" customer through mass marketing. Geographic segmentation- divides the market based on geography, affirming that customers in different areas have different needs and reasons to use your solution. Dividing the market into geo-locations helps the marketing team create personalized campaigns, especially when the business is expanding globally. 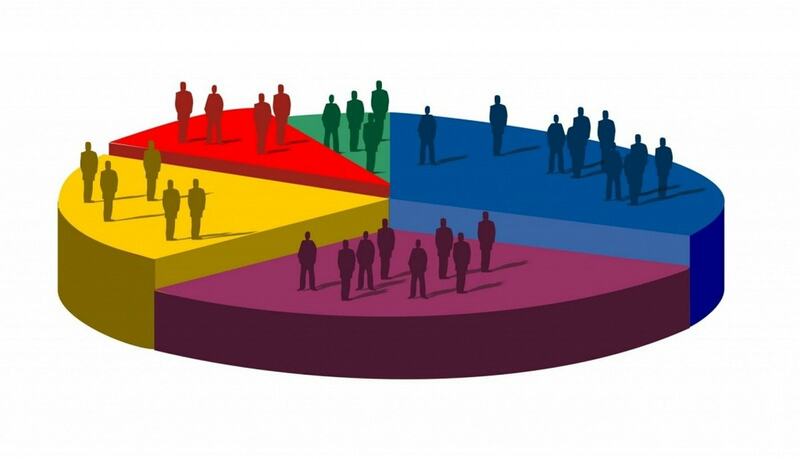 Demographic segmentation- probably the simplest and most widely-used type of market segmentation, businesses use variables such as industry, company size, employee count, revenue, etc to get their offering in front of relevant audiences. Also known as firmographics, the idea behind B2B demographics is that clients’ buying behavior is largely impacted by their organizational structure and performance. Behavioral segmentation- a more challenging segmentation than the previous two because it’s based on the target audience’s behavior. This includes their usage, preferences, decision-making, adoption history, and so on. The division is generally based on the client's knowledge of the product/service in question and their usage as the primary factors that affect the purchasing decision. 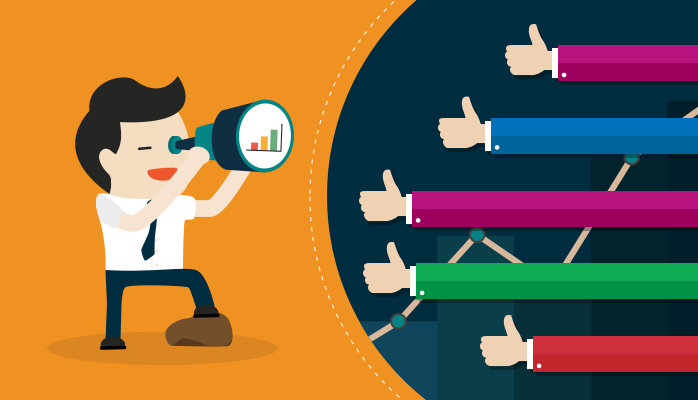 Market segmentation is not easy to address effectively, so here are some best practices to help you on your way. The starting point of any B2B segmentation is a good database. You need to have more than just basic information of your market segments. If you have data on a dozen or so prospects, that’s good for a start but nothing more. Successful segmentation rests on a database that’s derived via a large sampling from each market segment to have data you can truly use. This includes a thorough understanding of competing solutions and anything that’s similar, the predominant market share option, adoption trends, etc. Look to include as much information you can to get a true insight into a particular market segment. Before you even begin slicing and dicing your market, prioritize your goals. That is, make your end goal your top goal. Develop a plan on how the segmentation will be utilized before you put it in motion. With all your goals to meet customers’ needs, it easy to get entangled in a web of multiple targets and lose sight of what matters the most. Focus on the return on investment you aim to achieve and work toward profitability through your every action. Needs are sometimes difficult to recognize and hard to track because they change so often. You have to be able to identify shifts that can take place so that a company’s needs change or the decision-making process changes. Failure to spot these changes will result in offering your solution to a group of customers who simply are not interested in it. While that’s not the worst thing, it is a waste of time and resources and when done on a frequent basis can hinder your growth. If a business has the necessary tools for recognizing the needs and making proper adjustments when they change, the focus on customers and what they want will pay huge dividends. That’s why a needs-based segmentation is the way to go if a company wants to change from product orientated to marketing orientated. Be tactical - leverage the dependence the market has for what your solution can provide. Be strategic - if your market segment is independent and there’s more of a want than a need for your solution. Think about the end goal and what you’re trying to achieve. In any case, this needs to be based on hard data, otherwise assuming this data will hurt you in the long run. Market segmentation, for what is worth, is a constant circle of improvement. While simply saying “measure and improve” isn’t reinventing a wheel, it’s important to repeat as many times as needed to make it into a habit. Evaluating your success per segment helps you make priorities and develop further based on how well you’re meeting the needs of a particular segment. Marketing segmentation allows you to achieve better profitability by tailoring your marketing objectives with a high level of specificity. With objectives set, strategies can be set in motion to meet those objectives. By grouping your customers, you’ll end up with a more granular understanding of the market and arm your marketing team with all the information they need to improve your company’s performance.